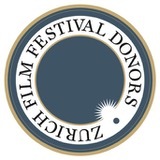 The Zurich Film Festival Donors’ Association supports emerging filmmakers at the Zurich Film Festival. Your donation enables the Zurich Film Festival to invite filmmakers from around the world to Zurich and allows them to present their films to an international audience in person. Donors also contribute towards the competition prize money presented at the Award Night. Members of the association profit from exclusive privileges, such as invites to the legendary Opening Night at the cinema Corso and the glamorous Award Night at the Zurich Opera House. The association is a non-profit organisation and does not pursue commercial purposes. The membership fee is tax-free. Membership of the Zurich Film Festival Donors’ Association is open to all film and culture enthusiasts. We are delighted with your interest. Membership is personalised and non-transferrable. Membership can be registered to a company as long as a single person represents that company. The association’s Board Members are ultimately responsible for deciding who is accepted. The annual membership is 5'500 CHF. Please contact Annina Veith ([email protected]) with all questions concerning membership.